Paper is more than just a medium that you can write on. To some, it is an essential tool in creating sculptures big and small! Albeit flimsy, there are several techniques in making outstanding artworks from paper, cards or its fiber counterpart. One popular technique is the origami (ori means folding, kami means paper), a Japanese art of paper folding. Other techniques include paper cast, papier-mache and cutting. A lot of effort and skill has gone to all the works we’ve compiled for this post, not to mention a lot of passion for their craft. Other than museums, a lot of these paper artworks have been used for commercial purposes like magazine covers and advertisements. After all, these works are really spectacular. 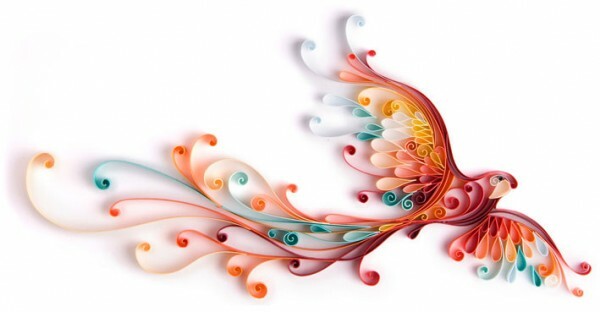 I hope you enjoy looking through these 42 outstanding paper art samples. Feel free to click on the images to check more artworks from their respective artists.